Gaming for parents with young children is HARD. We want to love our kids and spend quality time with them and at the same time help our children learn important skills. Board games also just have a way of teaching important skills that sometimes nothing else can. 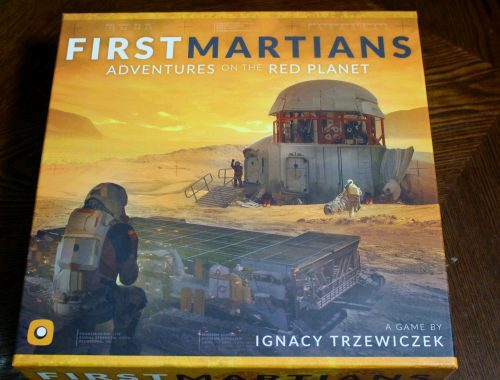 At our recent Customer Appreciation sale the other night I was looking for a sixth game to buy (I’m a little obsessed, I know) and I thought it might be smart to pick up something that I can play with my three and a half year old daughter. She has somewhat enjoyed Candy Land, Uno, Rhino Hero, and a couple others but most importantly she just likes to play with the fun and cool pieces that come in a lot of modern board games. 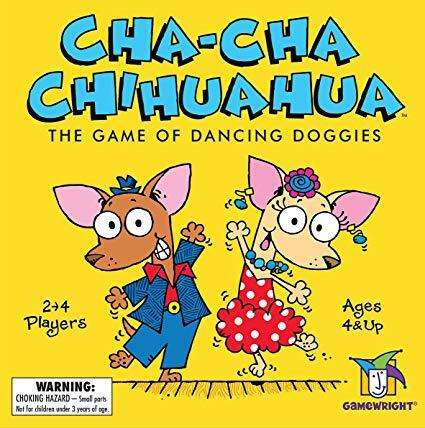 I’m walking by our children game selection, made up of mostly HABA and Gamewright games, and I see Cha-Cha Chihuahua. This was one of those games I pre-ordered for the store that I knew next to nothing about except only that it has cute, dancing Chihuahuas on the box cover and the price point is good. What I didn’t realize until I went to buy it, however, is that the game includes about 25 small Chihuahua figurines that have a great toy aspect to them. Two Chihuahuas (one to you and one to the player with the fewest) also, don’t forget to dance! …And that’s it: simple color recognition, and although not necessarily memory, but a slight amount of looking to see what colors of beds have been drawn and avoid placing a dog on those colors, if possible. I’ve only played this with my daughter as a two-player game but I bet my tail it would be better with three or four players. Three and a half is a tough age for gaming. 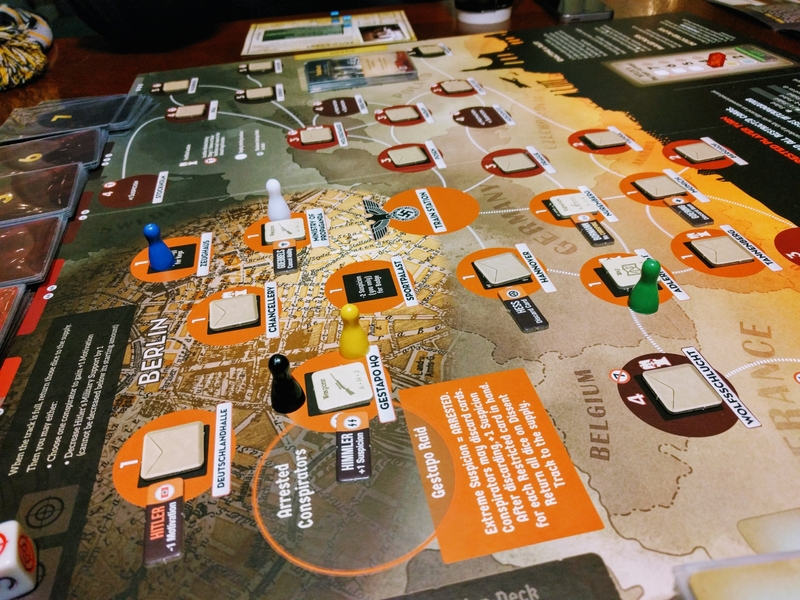 Although yes, my daughter can play a lot more than what she could a year ago, she is smart enough to easily understand the rules and become quickly bored with no-skill games like Candy Land, and yet not be able to grasp the slightest bit of strategy & tactics in games anything beyond that. However, for us, Cha-Cha Chihuahua is a huge win. 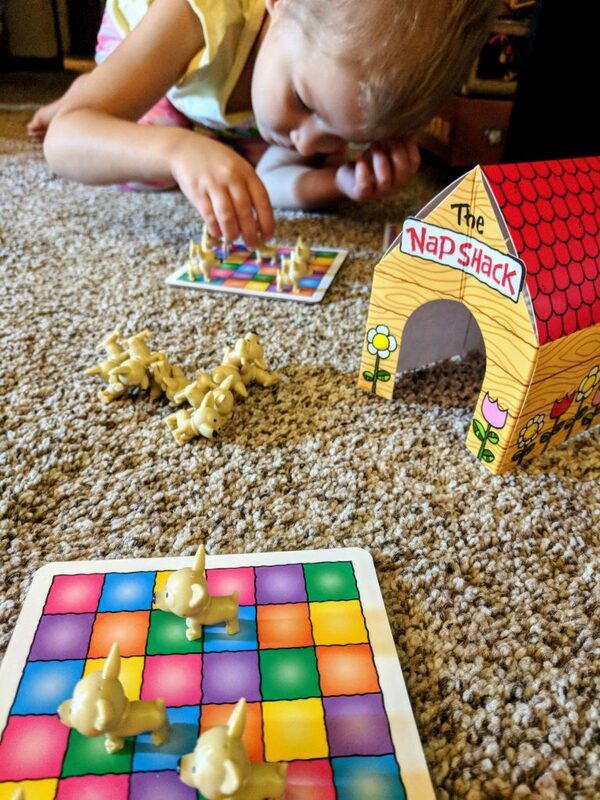 The game is colorful and both the figurines and the Nap Shack are very attractive for kids. The rules are as simple if not more so than Uno, yet are more accessible for kids. In our second game my daughter actually drew her card several times and didn’t need to be reminded what to do, and that is an awesome feeling as a parent! My daughter loves this game and actually got really upset when I had to put it away after only playing it once for the second time. As the parent, I actually had a ton of fun playing this with my daughter. I was never bored and the game moved quickly enough. The only negative part of the game is that the Chihuahuas have a very large head, and while I wonder if it was intentional to make them slightly difficult to place, they tend to fall over a little too easy. Otherwise I think this is a great kids game for that 3-5 year old age range at a great price of about $16 MSRP. 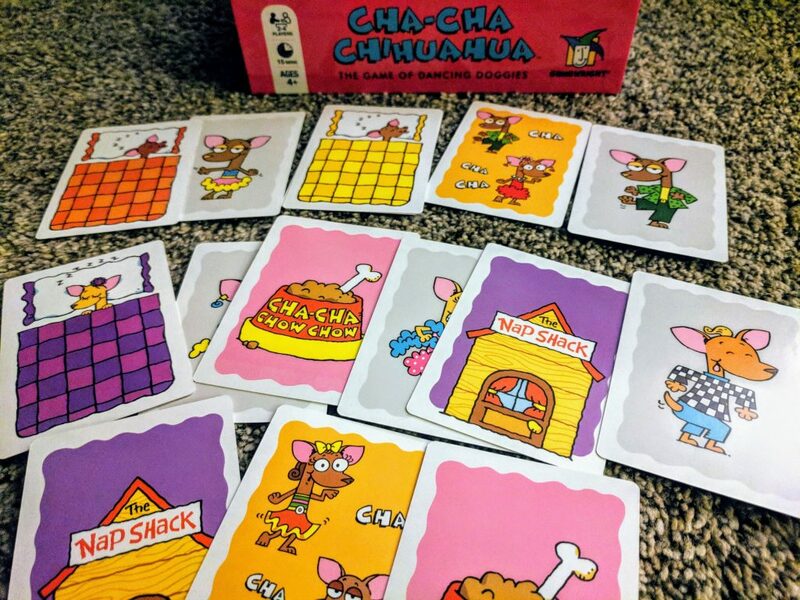 Cha-Cha Chihuahua reminded me that there are some great kids games out there and that I don’t have to leave my kids behind as I enjoy participating in my favorite hobby. I give Cha-Cha Chihuahua an 8 out of 10.